Environmental Demography, Spatial Demography, Economic Demography, Quantitative Methods, Field Methods. Gilvan Guedes joined the faculty of the School of Economic Sciences and the Center for Regional Development and Planning in 2012. Prior to that he was an associate professor in the Department of Accounting and Management, Vale do Rio Doce University, where he was also a core faculty of the Graduate Program in Territorial Studies, an associate faculty of the Microbiology Graduate Program and director of the Interdisciplinary Observatory for Territorial Studies (OBIT). He holds degrees in Economics (B.S., 2003), Finance (M.B.A, 2005), and Demography (Ph.D., 2010 – Cedeplar/UFMG; postdoctoral fellowship, 2011 – ECI/Brown University; sabbatical, 2016 – PSC/University of Pennsylvania). 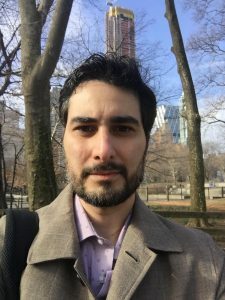 Guedes researches the connection between land use systems and household demography in frontier areas, environmental attitude and behavior, field and quantitative methods applied to population studies, and economic development. 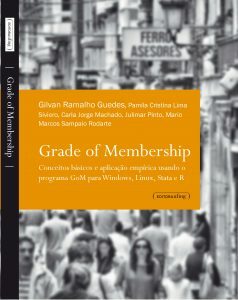 He is publishing a book, Grade of Membership: conceitos básicos e aplicação empírica usando o programa GoM para Windows, Linux, Stata e R (Grade of Membership: basic concepts and application using the GoM program for Windows, Linux, Stata and R. Belo Horizonte, UFMG University Press, 2016), which reviews the theoretical principals on fuzzy classification methods, and provides a detailed, step-by-step tutorial on how to use the Grade of Membership method on different environments and softwares. He received the award for the best Ph.D. dissertation in Applied Social Sciences in 2010 from the Federal University of Minas Gerais, and also the grand award for the Applied Social Sciences for best dissertation from the Brazilian Government (CAPES). He has authored work that has appeared in Population and Environment, Social Science Research, Human Ecology, Journal of Sustainable Development, Brazilian Journal of Economics, Brazilian Journal of Population Studies, Reports in Public Health, Journal of Management, Notas de Población, Papeles de Población, among others. He serves on several national and international advisory committees and boards. He is the new Associate Editor of the Brazilian Journal of Population Studies (with Simone Wajnman) and part of the Editorial Board of three journals: IAFOR Journal of Sustainability, Energy and The Environment; Economic Journal of the Brazilian Northeast, and Espinhaço Journal. He has been ad hoc reviewer of many journals, including Science, Journal of Development Studies, Population and Environment, Human Ecology, Global Environmental Change, Remote Sensing, Demographic Research, Reports in Public Health, among others.